Discusses the hit NBC show "Heroes", its characters, plots and theories. 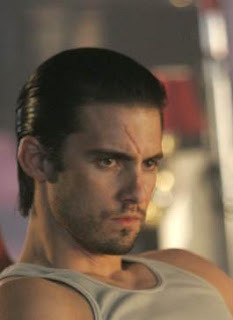 The two most powerful heroes through Season 1 and now into Season 2 are Peter Petrelli and Gabriel Gray, aka "Sylar". Both are on similar paths in Season 2, as they are struggling to regain and use their powers. Peter has amnesia but is able to work powers here and there. Sylar seems to be sick or injured and needs to be cured to regain use of his. This may be a clever budget ploy by the creators of the show, as having these guys able to unleash all powers all season long could really run up the efx budget. Many of the powers on Peter's list have not been displayed but fit the requirements for him to gain them as he was near the person with that power. The question mark is if Peter possesses Molly Walker's power to locate people, because it was made to appear like a "very special power" Molly has. He was in proximity of her during the final showdown with Sylar, end of Season 1, but has not displayed the power yet. Also, Peter was nearby to the Haitian up on the pigeon coop when HRG and Haitian shot tranquilizers at Peter and Claude. Peter has yet to erase anyone's memory, but this may explain why he is having trouble with his own. Things get interesting in that the Wikipedia entry on Sylar mentions that Sylar may have several unknown powers. He was on a murder spree early during season 1, yet we never were made aware of the victims' powers. Sylar killed both of Molly Walker's parents, but only took the brain of her father. A few of Sylar's victims were found frozen, so it's unknown which murder victim he took that from. Wikepidia also claims Sylar has Charlie's "super memory" power. To the best of my recollection, Charlie suffered a brain clot that she died from first, when Hiro went back in time to save her. Sylar was unable to take the power of "persuasion" from Eden as she shot herself in the head before he could kill her himself. Sylar also exhibits some sort of "hard to kill" ability, making it possible this is another power he has. Chapter 2: Episode 5: "Fight or Flight"
Thoughts on "Kindness of Strangers"